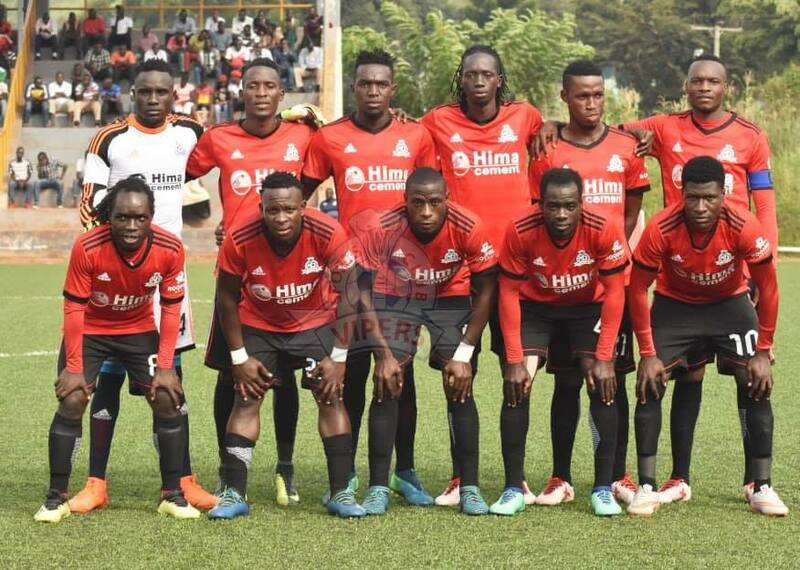 KITENDE – Second placed Vipers SC will be hoping they can take full advantage of KCCA FC’s slip up when they (Vipers) host Bright Stars at the St. Mary’s stadium on Friday afternoon. After KCCA were held to a 1-1 draw away to Police on Thursday, the Venoms have a chance to trim the Kasasiro’s lead atop the StarTimes Uganda Premier League, to four points, if Vipers can take care of Bright Stars. However, they have been disappoint so far this season, dropping unimaginable points even at home. In their last home League game, they lost 3-1 to SC Villa, in a match that they were expected to pick all three points. They have now gone two games minus victory, form that does not suggest they want to retain the League crown they won last season. They will go into the Bright Stars game knowing they have to be at their absolute bast if they are to pick all three points. “We know it will not be an easy game because all the teams in the league are no pushovers. Said Vipers head coach Nam Ouma ahead of the game. “We lost our last home game 3-1 and we need to bounce back as soon as possible if we are to put our title charge back on track. Vipers will be welcoming back Captain Tadeo Lwanga who was suspended for the game away to Tooro United. Defender Geoffrey Wasswa is slowly recovering from injury and will face a late fitness test if he is to feature. Yayo Lutimba who has been struggling with form lately is expected to start again at left-back. For Bright Stars, they are set to be without the injured former Vipers left-back Dan Bilikwalira otherwise, the rest of the first team are in contention to play if picked. The stars who are coming off a 2-1 win over URA in the Uganda Cup are desperate for three points. Fred Kajoba’s side have not won a game in any of their last 10 League encounters (D6 L4). They are currently 8 points off relegation but know that they need to start winning games as the teams currently occupying the drop zone have started gaining momentum. This will be the 12th meeting between the two sides ever since Bright Stars were elevated to the top tier in 2013. In the previous 11 encounters, Bright Stars have never defeated Vipers, losing 4 and drawing 7 games. The first game between these two sides this season ended in a 0-0 draw at Mwerere while the reverse fixture last season saw Vipers win 3-2. Going into the game, Vipers have lost only one of their last 36 League games (W24 D11). At home, the Venoms have lost only one of their last 19 League games, winning 15 and drawing 3. For Bright Stars, they have won only three of their last 13 competitive fixtures (D6 L4). All the three victories have come in the Uganda Cup. Away from home, the Stars have won four of their last 9 competitive games (D3 L3).